AstraZeneca and Cancer Research UK said they will open a new research center focused on applying CRISPR and other functional genomics technologies in the discovery and development of new cancer drugs. Cancer Research UK, the United Kingdom’s cancer research and awareness charity, and AstraZeneca said the center will study the function and interaction of genes and proteins in cancer, and create sophisticated models of the disease for research using CRISPR and other genome-altering technologies. 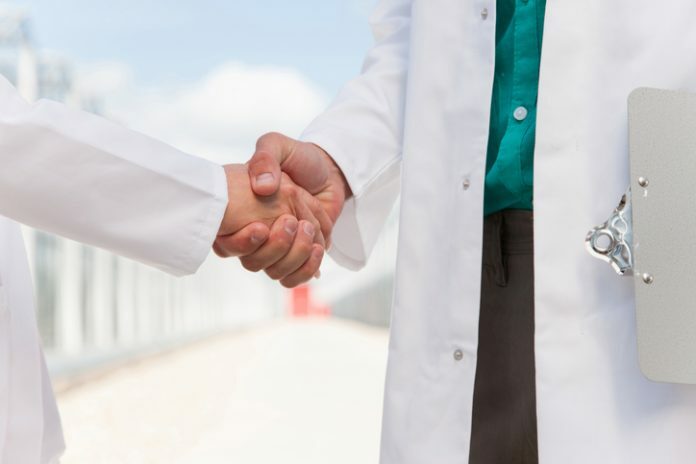 The partners envision their Joint Cancer Research UK – AstraZeneca Functional Genomics Centre as serving as a base for their academic and business collaborations focused on translational research, from target discovery and validation, to assessing novel drug combinations—and thus speeding up development of new treatments. The new center is also envisioned as catalyzing future collaborations by researchers from Cancer Research UK and AstraZeneca, though the investigators will have independent access to the center’s facilities. The center will be housed in the Milner Therapeutics Institute at the University of Cambridge, and operated through Cancer Research UK’s Therapeutic Discovery Laboratories—the charity’s in-house drug discovery unit focused on establishing drug discovery alliances with industry. While the researchers will own outputs of their respective projects with no associated option rights, AstraZeneca and Cancer Research UK will each have equal access to the center’s screening capacity, with joint projects to be identified on a case-by-case basis by mutual need, the partners added. “As we move into an era of personalized medicine, we’ve reached a turning point in our ability to harness powerful technologies in the pursuit of targeted cancer therapies. We hope that this will translate into urgently needed new therapies for patients with hard to treat cancers, such as lung, pancreatic, esophageal, and brain tumors,” Iain Foulkes, Ph.D., Cancer Research UK’s executive director of research and innovation, said in a statement. The Functional Genomics Centre will also serve as a hub of expertise in genetic screens, cancer models, CRISPR tool design, and computational approaches to big data designed to understand genetic changes contributing to cancer development, as well as identify and validate potential drug targets, Cancer Research UK added. “This new center will be a huge asset to the U.K. cancer research community and will accelerate the development of new treatments for people with cancer,” stated Greg Hannon, Ph.D., director of the Cancer Research UK Cambridge Institute, who is guiding the development of the new functional genomics center. At CSHL, Dr. Hannon and colleagues won a Cancer Research UK “Grand Challenge” award of up to £20 million (about $25.3 million) to build a 3D tumor designed to be studied using virtual reality. The technology is intended to allow multiple doctors and scientists to look at a tumor at once, to improve diagnosis and treatment of patients. Dr. Hannon also developed widely-used tools and strategies for manipulation of gene expression in mammalian cells and animals, including those featuring RNA interference (RNAi) and exome capture. Cancer Research UK has partnered with biopharma giants in the past: In January, the charity and Merck KGaA launched three research projects focused on cancer drug discovery, expanding on several earlier collaborations focused on discovering single treatments and validating targets for new therapies. And in August 2017, Cancer Research UK joined Eli Lilly to launch a Phase I trial of a cell division cycle 7 kinase (Cdc7) inhibitor designed to fight numerous solid-tumor cancers with mutations of the p53 gene.